I am genuinely passionate about skincare. 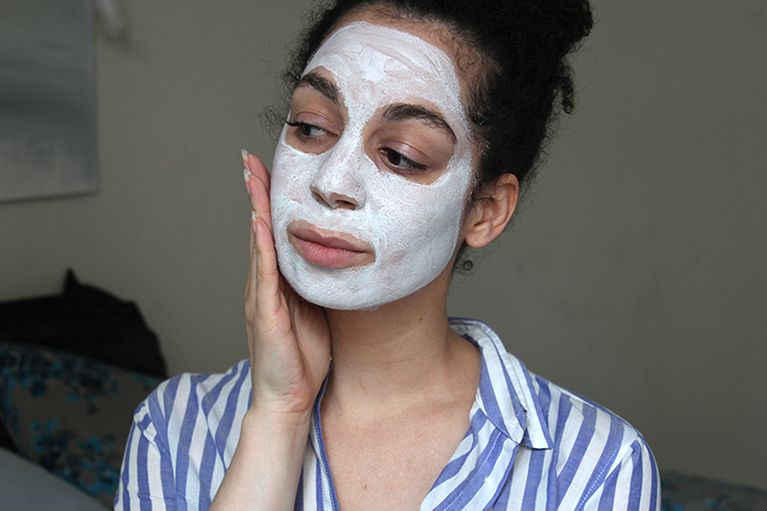 While I find makeup fun, taking care of my skin is something that I take pretty seriously (read my most recent skincare interview here). Growing up I struggled with acne, and by college I was starting to understand how to get clear skin; the key was to work with it, as opposed to fighting against it. Below I have listed the products that I use, and why. In the evening I use Bioderma Crealine H20 Micelle Solution. There are all kinds of makeup removers on the market, however this one that I continue to return to: it's gentle, doesn't have a scent, and it feels like I'm rubbing water on my face. It is actually a cleanser that doesn't strip the skin, or leave behind a residue. The only thing it isn't too good for is removing mascara. But that's what coconut oil is for! After using the micelle solution, I will apply a nickle sized amount of coconut oil to my face, focusing on my lashes. Then using a warm wash cloth, I will wipe the oil off, making sure all traces of makeup are gone. Coconut oil is great for encouraging the growth of long and healthy eye lashes. I will often skip mascara, as I feel I don't really need it. To prime my skin for product absorption, I gently pat the Rohto Hadalabo Gokujyn Hyaluronic Acid Lotion into my skin. Disclaimer: I can't pronounce this. Thank goodness that Amazon keeps a record of what I purchase, otherwise I'd be a loss at how to replace this product. It is watery-like 'lotion' that turns sticky, and in turn primes the skin to better absorb serums and moisturizers. It's also does wonders for acne prone skin. It contains hyaluronic acid, which plumps the skin and promotes the production of collagen. It can also be used as a sheet mask: purchase the face cloths separately, soaking them in this solution and leave on for 10-20 minutes. In college I tried everything to clear up my acne; including birth control. While it certainly worked, I hated how the hormones made me feel. One of the side effects of birth control is hyper pigmentation in small patches. The most effective product I have found for this is the Murad Rapid Age Spot and Pigment Lightening Serum. It keeps my skin and bright and the pigmentation at bay. However consistency is key with this product. If I stop using it for two weeks or more, I will notice differences in my skin. 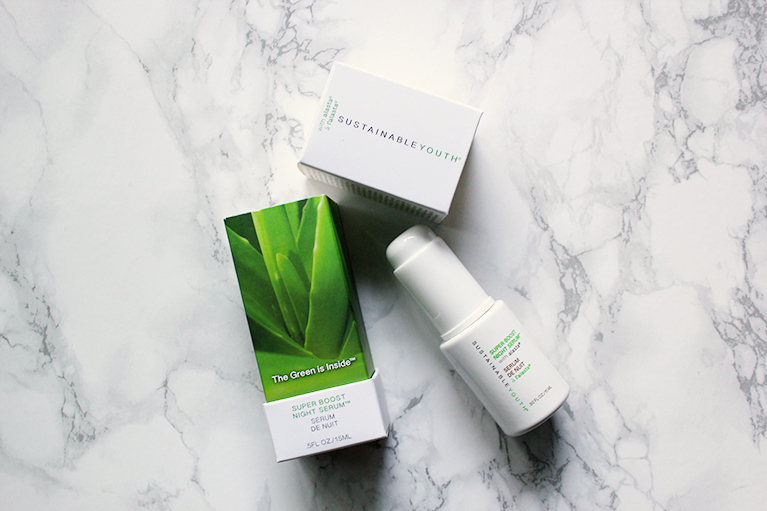 The second serum that I apply is the Sustainable Youth Super Boost Night Serum - which is a new step in my regimen.Created to improve the skin's elasticity and rejuvenation cycle, it is also packed with certified organic ingredients. It soaks into the skin quite quickly, and really makes a difference. 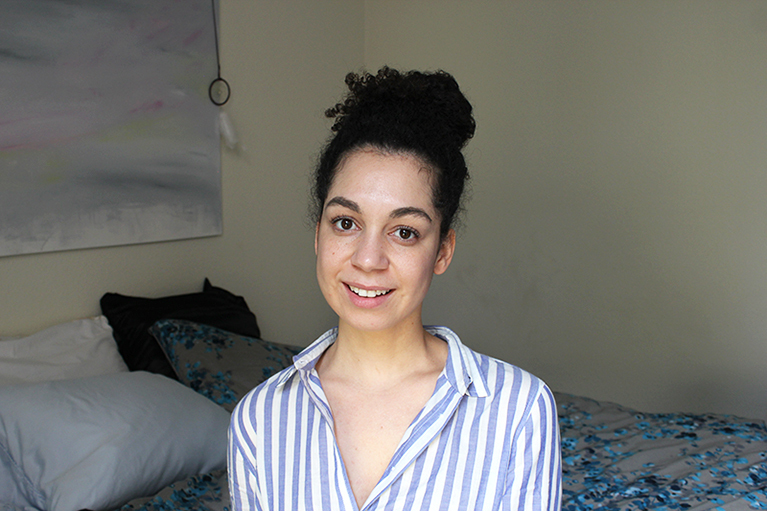 My skin appears brighter and more radiant - I saw small results after my first use, and I swear I was glowing within a week. For my evening moisturizing, I use La Roche-Posay Cicaplast Baume B5 and Fresh Black Tea Age-Delay Cream in that order. I layer my products by their fluidity; the most liquid ones go on first, with the thickest one applied last. The Baume is cream that turns into a thin watery moisturizer once it comes into contact with the skin. I like that it acts as a 'seal' for the serums. On lazy weekend days I will apply this before leaving the house for a healthy dewy look. The Fresh cream is packed with antioxidants, and doesn't cause me to break out. Double win! Several times a week I will apply a sheet mask in the evening, while blogging. Tip: don't throw the mask away after the first use! Instead fold it back up, place it back in it's packaging (to reabsorb the remaining serum), and store it in a ziplock bag in the refrigerator. I can usually get about 3 uses out of one sheet mask. 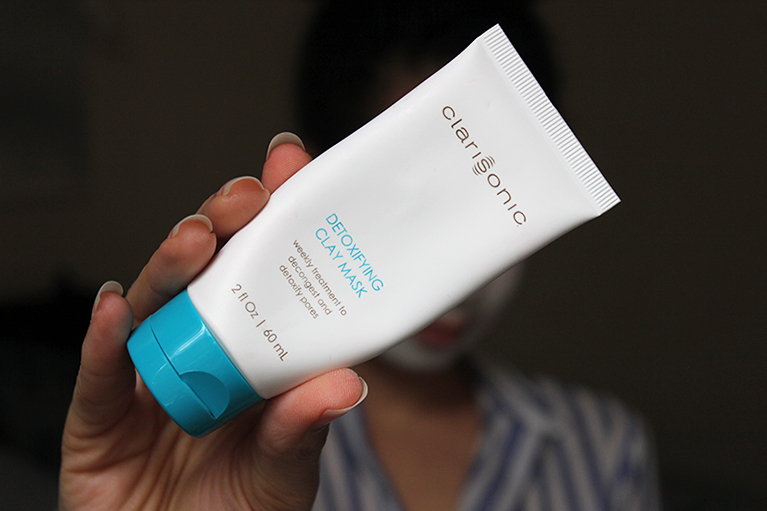 Weekly I will apply a clay mask, and I am currently using the Clarisonic Deep Pore Clay Mask which I purchased over the holidays. I like that it doesn't leave my skin feeling tight or dry. When removing the mask I use my Clarisonic Mia 2 bush to really make sure I remove all the grime extracted by the clay. In the morning, I use a small amount of coconut oil to break up the products from the night before, using a wash cloth to gently remove everything. I will add a small amount of the oil to my skin, focusing on the lashes. 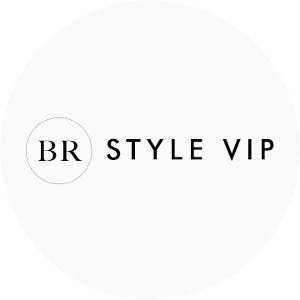 For my daytime moisturizer, I apply Bobbi Brown Vitamin Enriched Face Base before applying my makeup. Recently, I was sent the Tria Beauty Acne Clearing Blue Light for review. While acne isn't something that I struggle with on a daily basis, it does tend to flare up about once a month. I like that this isn't a harsh cream or chemical to put on my skin, but rather a gentle but effective light treatment. I have been using it for about 2 weeks now, and I think it's something that I still need more time with. I can't speak to it's ability to prevent acne, but I have noticed that my flareups do heal faster. 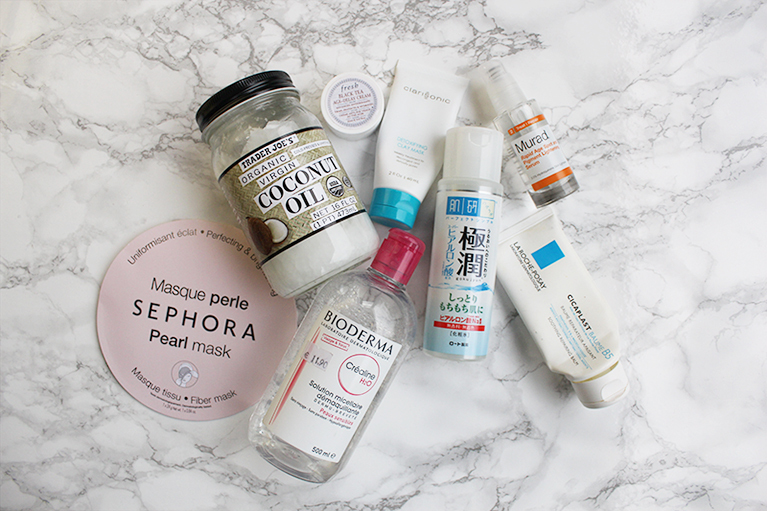 A long time ago I decided that I would treat my skin as gently as possible, and this fits into my skincare philosophy quite nicely. I take three supplements for my skin: evening primrose oil, a super b-complex, and Olly Vibrant Skin (which contains hyaluronic acid, marine collagen, and sea buckthorn). Supplements take a little more time to see results, but it's well worth the wait. Ironically, I started on my journey with supplements after starting my Mane Choice Hair Growth Vitamins a few years ago. The hair growth vitamins work well, and also promote healthy skin and nails. Only, after starting the vitamins I noticed that I was breaking out in the oddest of places: such as my neck, shoulders, and chest. When I stopped the pills, the breakouts stopped. So in efforts to keep my hair and nail growth going, I turned to supplements to help counteract the breakouts. To read more about the supplements I use, click here. And there you have it! Do you use any of the products that I have listed? Are there some you haven't heard of? Tell me below what favorite products you use, as I love learning about what other people use.